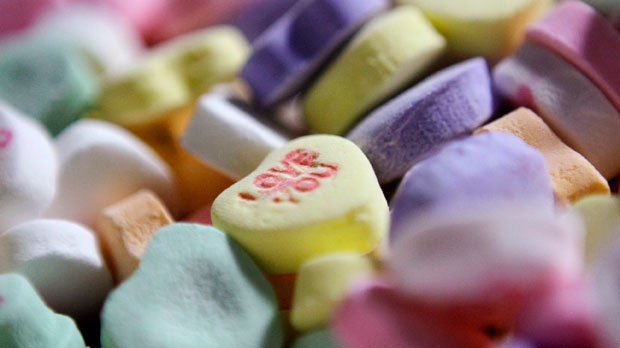 DETROIT -- Sweethearts -- those chalky little candies with messages on them -- won't be on store shelves this Valentine's Day. Competitors like Brach's are still making conversation hearts. But online retailer CandyStore.com says Sweethearts were by far the most popular brand, commanding 80 per cent of U.S. market for candy hearts.